Colchester General Hospital released its Annual Accounts and Quality Report ahead of its annual members meeting which was held last Thursday (14th September). The report details that the hospital has failed to meet targets in several areas including A&E waiting times and cancer treatments. For A&E, the target is for 95% of patients to be seen within 4 hours. However only 84.13% of patients were seen within this time period. Most cancer treatment targets were also missed, including the target for 85% of patients to have a 62 day or less wait time from urgent GP referral until their first treatment. The hospital trust achieved 72.89%. Financial figures released by the hospital at the same time show a total deficit of £18.91 million, an improvement on the forecast £31.7m deficit. The trust explains that this was mainly due to support from a Government Fund and in future years it will be extremely challenging for the hospital to meet financial targets without this support. Hospital bosses state that in order to improve standards and the financial outlook for the hospital in the future they will need to take a long term approach, working closely with other healthcare providers. 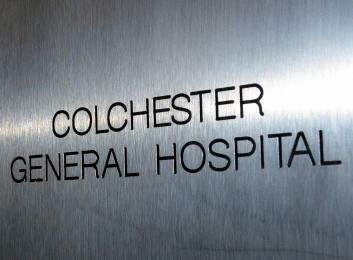 A spokesperson for the Colchester General Hospital Trust said “The trust continues to face many of the same challenges as it did in 2016/17, including financial and shortages of key clinical staff, but we are not using those reasons as excuses for failing to make significant improvements. Steve Webb, head of litigation at TSP said “Year on year we keep hoping for an improvement in the service that the people of Colchester and its surroundings can expect from their hospital. These figures, sadly, suggest that it just isn’t happening. The issue is undoubtedly funding but it needs to be addressed. Let us hope that the influence of Ipswich Hospital is beneficial”. The figures featured in this article can be found here.